Our show schedule evolves each year as we attend more and more trade shows. Check back here often to see if we’re coming to your area! We’re looking forward to showing equipment at the following Farm Shows! Stop by to get all of your questions answered and to see our equipment in person. 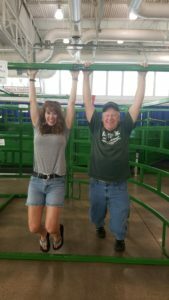 Dave and Tonya will be on-site and look forward to meeting you! 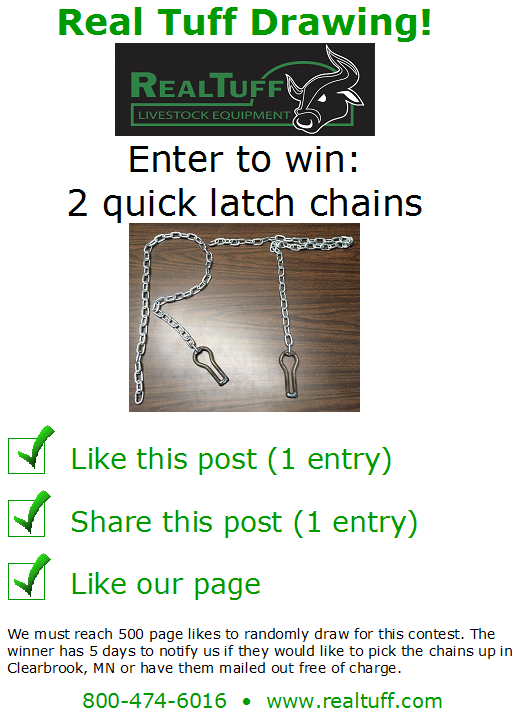 Also, be sure to ask about our quick-latch chains at the show. 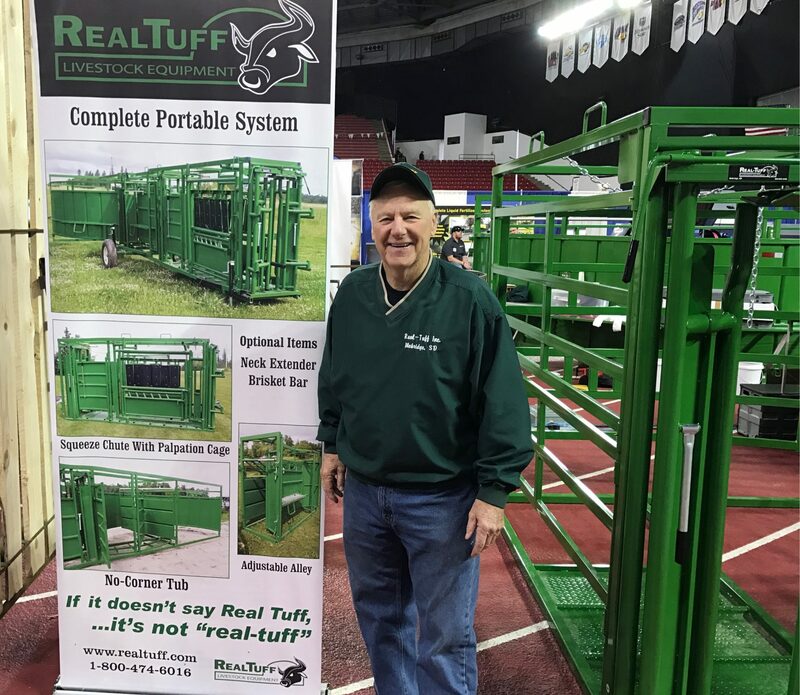 If you want to see and feel our equipment first hand, attending a trade show is a great way to accomplish that. Our staff will be available to explain the equipment, answer all of your questions, and take down your . We typically offer show specials and have quick-latch chains for sale as a great grab-and-go item. Would you like to see us in your area? Feel free to notify us of local events you’d like us to add to our show schedule. Above: Tonya and Dave hanging out at one of the shows this year. Catch this entertaining duo at an upcoming show near you! 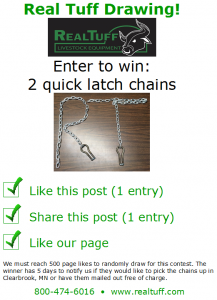 If you’ve seen us at one of the trade shows we attend, you have likely seen our quick-latch chains. Many customers who these come back for more! These are handy for so many things around the farm. If you’ve never tried these or love the ones you have and would like a couple more, please head over to our Facebook page to enter to win! 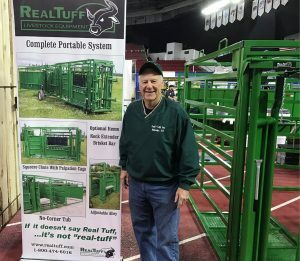 Find the Real Tuff Drawing post on our page for ways to enter.